Posted September 28, 2016 to Uncategorized by: admin. Jeremy Enlow was just 10 when his first photograph was published in Hood County News. Now, he’s the advertising, media, and fine art photographer behind Steel Shutter Photography with more than 36,000 images published. In 2015, Jeremy published his first fine art photography book Cowboys of the Waggoner Ranch. Here’s a collection of some of Jeremy’s black and white photographs of Texas. Actor Barry Corbin of Lonesome Dove and No Country for Old Men. This portrait of actor Barry Corbin, graced the cover of Fort Worth Texas Magazine. 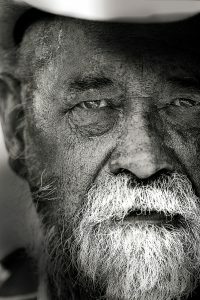 To see more of Jeremy’s portrait photography, view the gallery here. The Herd photographed in the Fort Worth stockyards. Nothing quite captures the spirit of Texas like the daily cattle drives in Fort Worth, Texas. 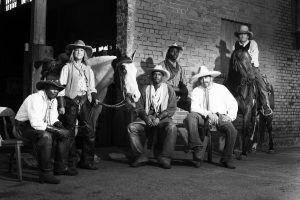 This photograph of The Herd in the Fort Worth stockyards includes Trail Boss Kristin Jaworski. Jaworski has been the Trail Boss since 2002. She and Jeremy met during her employment at the Hood County News. A native Texan, Jeremy is especially fond of his home state. “Texans, myself included, are proud of their state,” he says. 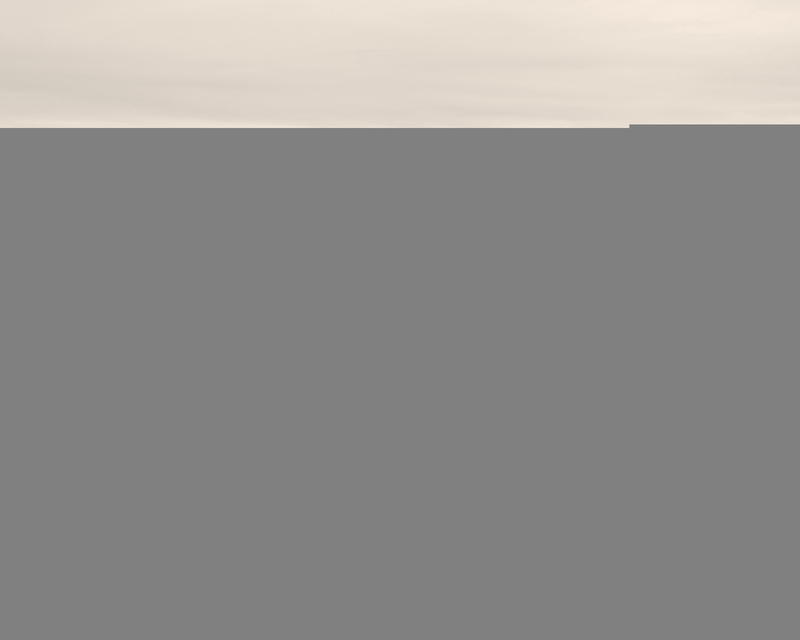 When preparing to print Cowboys of the Waggoner Ranch, it was important for him to produce the book in Texas. He succeeded, and the book is 100% made in Texas, by Texans. 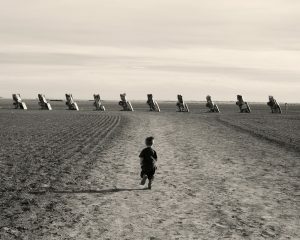 You can see the love he has for this place in his photographs, like that of Cadillac Ranch in Amarillo, above. You can see some of Jeremy’s work at the State Fair of Texas this year. Cowboys of the Waggoner Ranch will be available for purchase at the GO TEXAN booth. Looking for an advertising photographer in the Dallas / Fort Worth area? Contact Jeremy today. Posted September 28, 2016	to Uncategorized	by: admin.